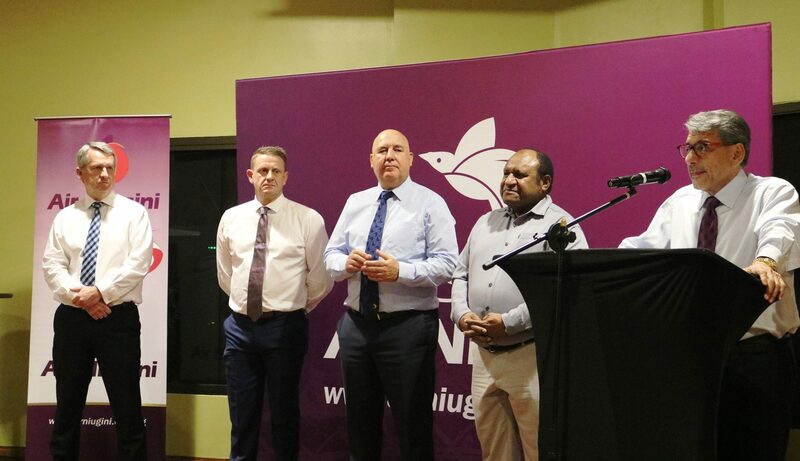 Air Niugini hosted a function for its corporate clients in Lae over the weekend, following the airline’s board meeting. It was also an opportunity for the airline’s corporate clients and key business partners to meet Air Niugini Board Chairman, Sir Kostas Contantinou and Managing Director, Mr Alan Milne in person. All key business partners, executive club members, representatives of government agencies, ANG service providers, senior representatives of buisness houses in Lae …and companies in Morobe in general attended the function. Also present were Minister for Communications, Information Technology and Energy, Hon. Sam Basil, Mnister for Fisheries, Hon. Patrick Basa and Member for Nawae, Hon. Kennedy Wenge, long time businessmen in Lae, Sir Bob Sinclaire and Sir Soekandar TJandra among others. The airline under the current board chairman is taking the meetings outside of Port Moresby so that the board and management can also meet with Air Niugini staff and clients in the outports. The next meeting will be held in Kokopo, East New Britain.